Sweet friends, how have you been? I’ve missed you. I’m coming out of the fog of illness and I’m beginning to see just how lonely January has been. When I say I’ve been sick ALL of January, I’m not exaggerating. From a cough that has hung on for 4 weeks, to the flu, to bronchitis, I’m officially over this month. I wanted to quit Christmas just over a month ago and now I want to quit January 2017. Did I mention I also missed out on a ski trip to Lake Tahoe? Yeah, there was that. It’s been an isolating few weeks and I think I’m finally ready to reemerge back into the world. And remember when I made the month long resolution to be off social media? Yeah, I’m not doing that again any time soon. I’ve learned lots of things about myself since I’ve been alone a lot and I can say with all honesty, I’m ready for it to be over. As a person that doesn’t work everyday outside the home, I don’t always interact with lots of people throughout the day. I’ve realized that social media was my connection to the world. It was my way to engage with other humans even if it was just through my phone. Being physically away from people for so long and then also taking away social media has left me a bit depressed. I hate to even say that because normally I consider myself a “pick yourself up by your bootstraps” kind of girl but this time it’s been different. I haven’t been able to “positive attitude” my way out and that’s been extremely humbling. So yeah, that’s the space I’ve been living in for the past month. It’s not been my favorite. So what about you? How ARE you? Did you see where our new President was inaugurated? (I know, some of you say he’s NOT your president but if you’re still living in the United States, I hate to break it to you but he actually IS. I digress.) I’m not into chatting about politics very often on here but can we at least discuss Melania’s dress at the Inaugural Ball? STUN-NING. I bet designers are chomping at the bit to dress her. And Ivanka’s dress. GORG. I know it’s trivial but I’ve had all I can take of serious/depressing thoughts lately. And can we talk about how well behaved little Barron was? That was an extremely long day with lots of cameras on you and I didn’t see one meltdown. I didn’t see Melania pulling Skittles and Sprite out of her purse to bribe him. He wasn’t staring at an iPhone during the parade or listening to music through his earbuds. I didn’t even see an eye roll out of the kid. Who is this guy? I’ve got a 10 year old and she could keep it together for a while, but seriously? No candy for being good all day? And I feel like I wouldn’t begrudge her a couple of eye rolls. It’s a LONG day! I like to think that when his parents were at all the balls with his older siblings, he was chillin’ in his new room with junk food and watching Dude Perfect videos while working on his bottle flipping. I mean, he’s still a kid, right? 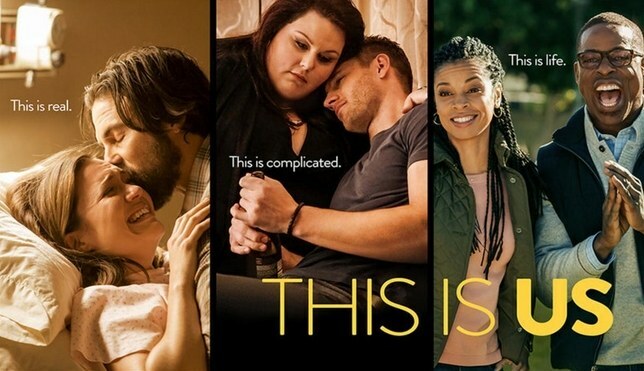 And who is so glad that This Is Us is back?! That show. Sigh. It makes me so teary and gives me all the good feelings every time. I mean, Jack the dad? COME ON. He’s perfection. It’s almost like he became the man I knew he could be when he was Jess on Gilmore Girls. And Gerald McRaney as the OB-GYN? Masterful. His monologues make me cry every time! It’s like the creators of the show knew that America needed a new family to root for. A family that is good and makes you want to believe in, well, family. If they’re going to take away Coach and Tammy Taylor, then take away the Bravermans, it’s only fair they give us an extraordinary replacement. If you don’t watch this show, stop wasting your life. Go watch it. From the beginning. If you hate it, I’m not sure I can understand you and I question your life choices. Thanks for reading all the ramblings today. And thanks for understanding life’s sometimes good and sometimes the pits. Hopefully more good is on the horizon!